Between feedings, diapers, sleeping, and health needs, babies make life complicated—but what if there were smart ways to make it all easier? Thanks to smart technology, you can harness the power of your smartphone to help you take care of your baby and simplify your life at the same time. Here are a few of our favorite ways to use modern tech to build a smarter nursery. You want your little one to sleep on their own, but the thought of them in a room all alone makes you nervous. Are they warm enough? Are they breathing okay? Are wolves coming in through the window and sniffing around their crib? Don’t worry, these are all perfectly normal concerns to have, and a smart baby monitor is a great way to get some peace of mind. Modern monitors come in both wired and wireless models with live video streaming and lots of different features—like monitoring breathing, heart rate, and room conditions. Some Wi-Fi baby monitors even offer two-way voice communication, so if your baby wakes, you can use your smartphone to talk to them and soothe them back to sleep. Or you can use it to communicate with another caregiver in the room with your child. 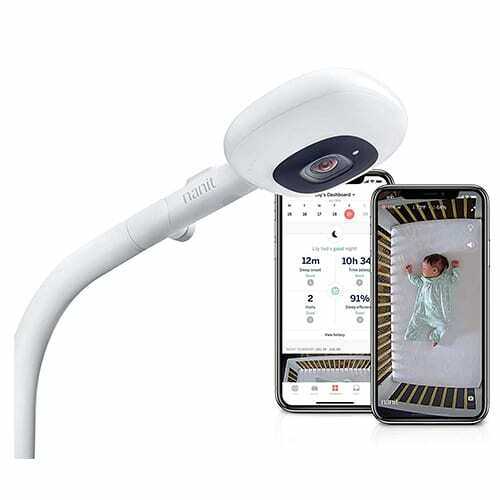 A standalone or wall-mounted HD video monitor with night vision sends a live feed of your baby’s crib to your phone, while also measuring the temperature and humidity in the nursery and tracking baby’s sleep patterns. The app can then use this information to coach you on what to do to help them sleep even better—which means everyone will be getting a healthier night’s rest. Wearable baby monitors like the Owlet Sock 2 are another option for keeping tabs on your child while they’re sleeping. 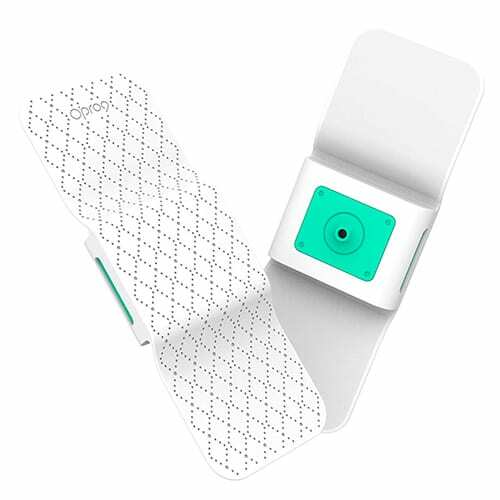 The Owlet straps to your baby’s foot and uses pulse oximetry to monitor their heartbeat and breathing. It sends the information to a base station and to the app on your phone. The base station light glows green when everything is okay, and it will flash red and sound an alarm if there’s a problem, so you can check on your infant right away. Wearable monitors are a great choice for preemies and babies with health concerns. They can be used alone or along with a video monitor. 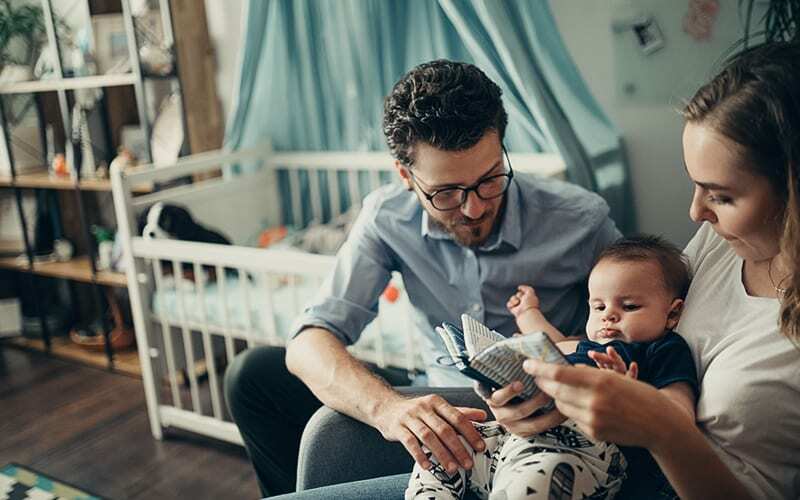 Taking care of your baby is a job that continues after the sun goes down, and incorporating some smart lighting into your routine is a great way to make those after-hours jobs a little easier. 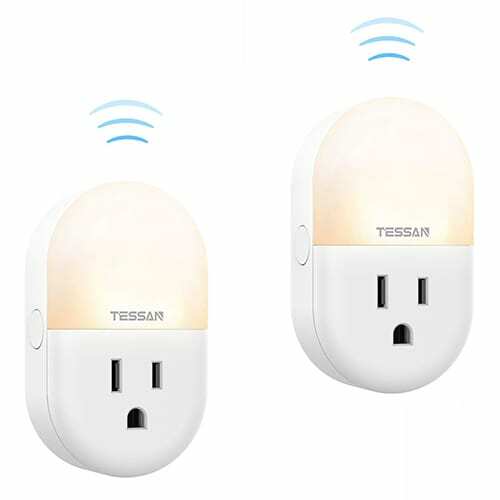 The Tessan Nightlight is a low-profile nightlight that you can plug into the wall and control using your smartphone, Amazon Alexa, or Google Home. It’s also IFTTT (If This Then That) compatible, so you can set it to turn on at a certain time, or have its brightness slowly dim over the course of the evening. If you hear your baby crying, you can turn on the nightlight using your phone on your nightstand before you even go in, keeping you from fumbling in the dark and potentially stubbing a toe. Once you get them settled in, you can set the light to dim as they fall back to sleep. Hatch offers a tabletop nightlight that’s also a white-noise sound machine (sometimes called a “dream machine”), with preset sound and light combinations designed by experts to encourage the most restful sleep. As your child grows, they can change the light’s colors and sounds on their own, and you can program a special “okay to wake” light alert, so they know when it’s okay to get out of bed. You can control the nightlight and program it from an app on your smartphone, so there’s no need to tiptoe into the room to turn it off. If there’s one thing parents need more of, it’s sleep. But parents don’t rest unless baby sleeps, so creating that perfect sleeping environment is the holy grail for most parents. It’s not always convenient or safe to cuddle your little one to sleep, especially when you’re exhausted yourself. Fortunately, new products are making a good night’s sleep more attainable by using modern technology to mimic the comforts of mom and dad, with bassinets and swings that combine white noise with swaddling and gentle rocking motions. 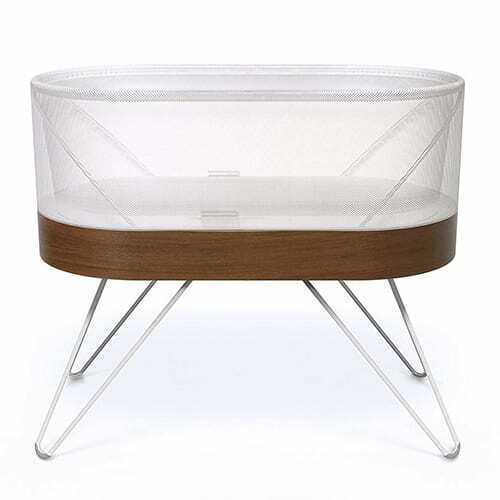 Smart bassinets like the Snoo use tried-and-true soothing methods, like gentle vibrations, side-to-side rocking, and soft shushing noises to ease baby to sleep. A snug swaddling blanket keeps them securely on their back, which is the safest position for infant sleep. If your baby likes to sleep sitting up, the 4moms mamaRoo is an all-in-one baby swing designed to cradle your baby. It has five different motion settings, including one that mimics a car ride and another that mimics the bounce-and-sway technique you probably already use to soothe them. It’s Bluetooth enabled, so you can control the motion and sounds right from your smartphone. Babies eat a lot, and it can often feel like you’re spending nearly every waking minute preparing your baby’s next meal, feeding them, or cleaning up the results of their feedings. 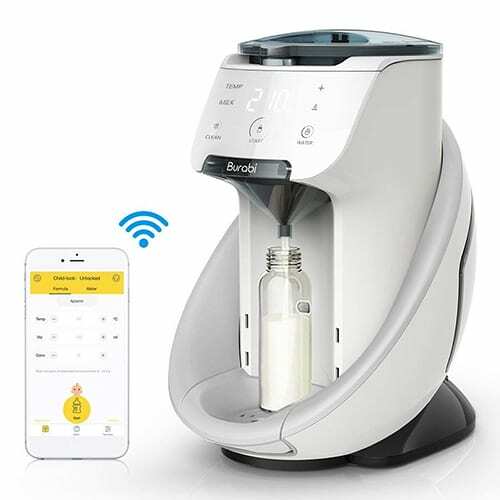 Whether you bottle- or breastfeed, there are smart products on the market to streamline the process and keep you on top of mealtimes—from machines that mix formula for you to wireless, ergonomically-designed breast pumps. If you’ve ever had to bottle-feed a hungry baby in the middle of the night, you’ve probably wished for a second set of hands to measure and mix the formula. Wish no more—countertop milk makers like the Burabi make midnight feedings and hectic mornings a breeze. Just scan the barcode on the formula container with your smartphone, dump in the powder, and the Keurig-like machine will do the rest. You can adjust the amount, concentration, and temperature right from your phone, giving you the perfect meal for your baby in seconds. Don’t worry, breastfeeding mamas: there’s new technology for you too. Cordless breast pumps like the Willow Wearable Breast Pump fit right inside your bra, letting you pump discreetly and completely hands-free. The app lets you adjust the suction, and it tracks your milk output, so you can always be sure to have enough for your baby. The milk goes directly into specially designed bags inside the pump, so you don’t have to worry about mess or contamination when transferring it to the fridge or freezer. Once it’s time for a feeding, you just cut the top off the bag and pour the milk directly into the bottle. Before you had kids you probably had no idea you’d be so interested in their dirty diapers. But a baby’s “output” is just as important as their “input” when it comes to their health. 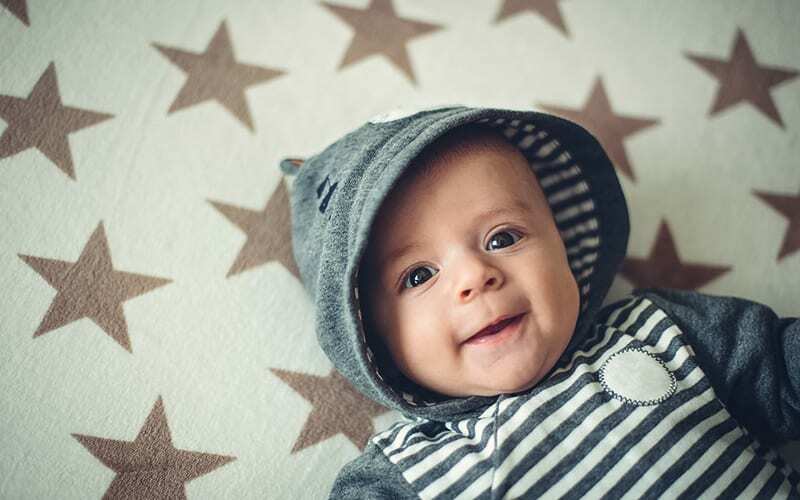 Smart technology can help you know when it’s time to change your baby to keep them comfortable, and it can help you monitor their output to keep them healthy. If you don’t like using traditional methods to check for soiled diapers, a wearable diaper humidity sensor can alert you to moisture in your baby’s diaper, so you can stay on top of changes and prevent diaper rash. When the sensor detects moisture, it sends an alert to your phone so you can change your baby right away, keeping them dry and comfortable. The device can also help you save money on diapers, since it prevents unnecessary changes. A diaper scale can weigh your baby’s output and let you know if they’re getting enough to eat and staying hydrated. It connects to an app that tracks the number of diapers changed and who changed them, even turning the art of diaper-changing into a friendly competition between caregivers. The connected app also lets you record additional information about your child’s health, like their height, weight, and feeding schedule, so you can easily track their growth. If you want to track your baby’s growth but don’t want to focus too much on the “business” end of things, another great option is a changing pad that doubles as a scale, so you don’t have to wait for a checkup to see if they’re gaining weight. Not only is it a great way to measure your baby, it’s also a safe, easy-to-clean changing pad that fits easily on any flat surface (eliminating the need for a separate changing table). The connected app records weight and tracks feedings so you can keep an accurate history of their progress over time. We wish our babies could tell us when they’re not feeling well, but it’s up to us to decipher their cries and recognize the signs of illness. Modern technology makes it easier to spot and treat symptoms with things like smart thermometers and smart humidifiers. 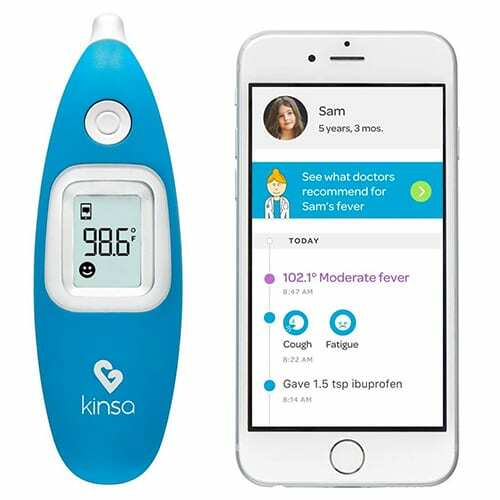 The Kinsa Digital Smart Ear Thermometer works for all ages, and its accompanying smartphone app is a lifesaver for tired parents. You can create different profiles for each family member and store temperature readings. The app will even give you treatment recommendations, letting you know when medicine and rest is enough or when it’s time to call a doctor. The app records information about when you last gave your child medicine, so there’s no guesswork figuring out when it’s time for another dose. 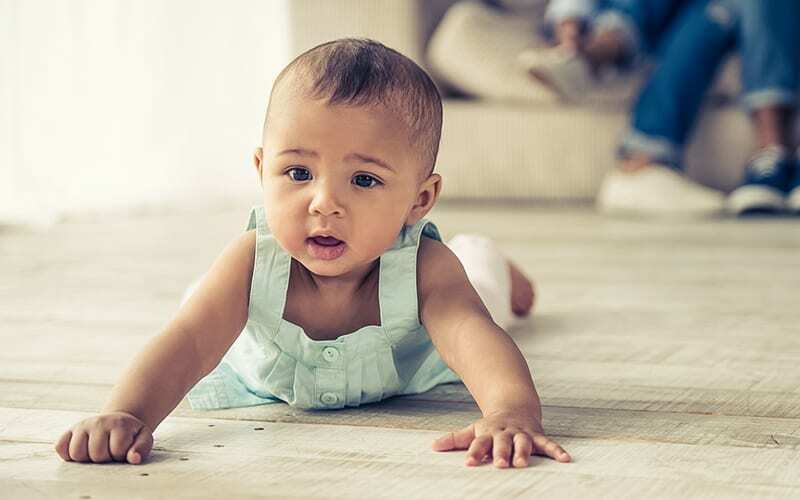 If your little one is suffering from a dry cough or a stuffy nose, you might be tempted to reach for your trusty humidifier, but older humidifiers can harbor mold and bacteria and could even make your baby sicker. If you think it’s time for a new humidifier, it’s worth looking into some newer models that not only add moisture to the atmosphere but also have some fun extras like timers, lights that change color, essential oil diffusers, and Amazon Alexa compatibility—so you can control your humidifier’s settings through voice commands or an app on your phone. Can a Nest Cam be used as a baby monitor? Yes, but it will function only as a video camera and a tool for two-way communication. If you want video recordings, you’ll need to pay a monthly subscription fee. What device should I start with to build a smart nursery? We’re all about safety first, so we recommend starting with monitoring. A wearable monitoring device and app can help you provide your baby’s doctor with valuable information about their health. And a smart video monitor will help you keep an eye on them as they sleep and give you peace of mind. I’m not tech-savvy. Is it hard to program all this smart stuff to work? One of the great things about smart technology and smartphone apps is that they’re all designed to be very user-friendly. Just download the app that goes with the product you’re using, and it should walk you through the setup. If you have questions or problems during setup, you can always contact customer support or do a quick search online for instructional videos. The portable Wi-Fi on your smartphone has always been your go-to for connecting to the world, and now you can put it to work to help you better connect to your child. Smart products can help you track your baby’s health, monitor them while they sleep, and give you an extra hand when it comes to feeding and bedtime. Incorporating smart products into your nursery can help you and your baby live happier and healthier—and that’s definitely a smart thing to do. To learn more about smart baby products for your nursery, we read up on the latest products on the market and learned how they help parents and babies with everyday needs. We watched review videos to better understand how each product works and to bring you the most innovative options for your smart nursery. To learn more about how we conduct our research, check out the SafeWise methodology.